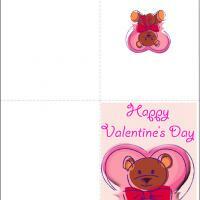 These free printable cards feature a country bear holding different hearts. A whole bunch of hearts of all different shapes and sizes in fact! 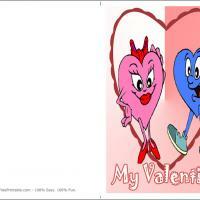 Much of it is then placed on a soft blue background to bring the whole card together. 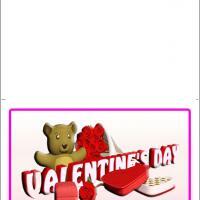 This is a perfect card for little girls who wants to give their moms a special card on Valentines day. Add some loving and kind words to show your mom or anyone else your love. 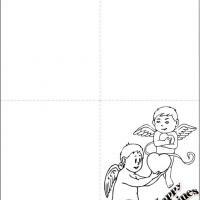 These printable valentines are just the thing to give to friends and family on this special day. Print this card off and enjoy!